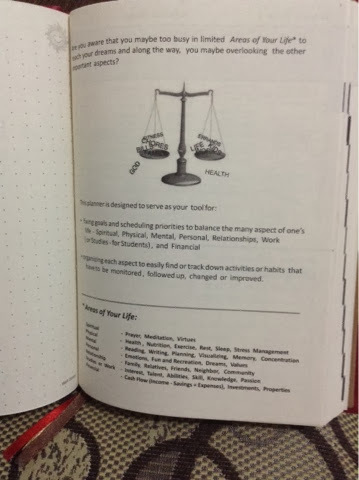 Of course as someone who has been new in the financial management field there is one important thing that i have to master and that is time management. 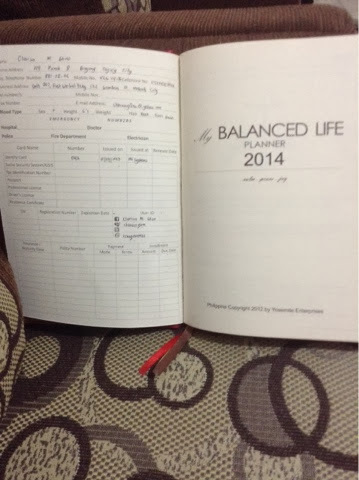 Last year i wasn’t able to buy a proper planner to assist me all year around so i promise that in the coming new year i will invest in a good 2014 planner. The price for this one is 345pesos and is available with different colors that suits your need. 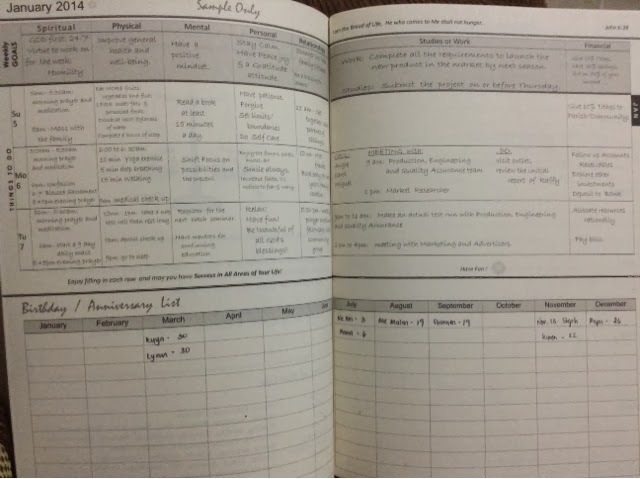 Once you open there is a profile page wherein you can list down basic information about yourself so in case you lost the planner somebody will know how to contact you. 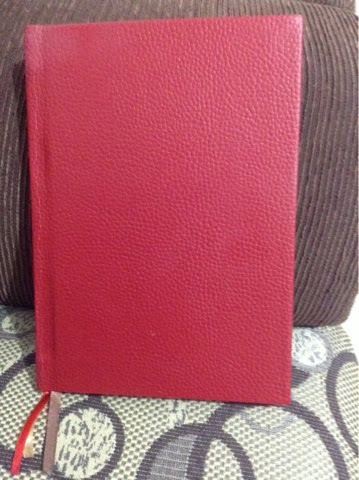 It has a page for My Dreams which is awesome because you can just jot down all your dreams. And then there is the page for the explanation of how the planner should be used and what is it for. 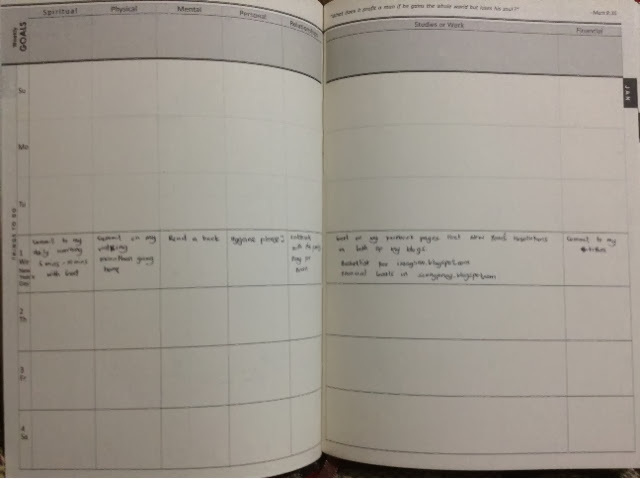 This planner appeals to me because of its simplicity and the fact that it doesn’t have too much advertisement unlike other planners available in the market. 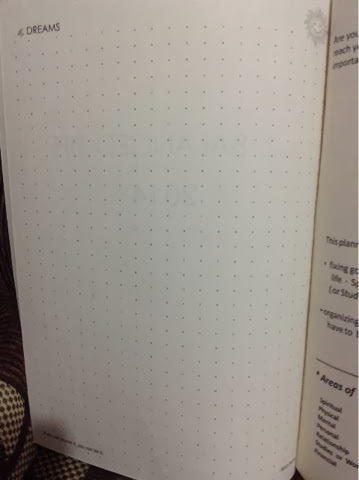 There is also a sample page of how you should use the planner and then on the bottom is a birthday list for you to remember. 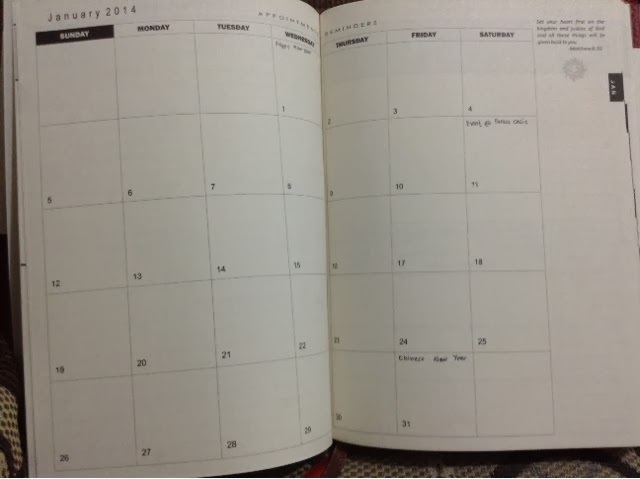 I also love the fact that there is a separate page where in you can put your yearly planner. It will also remind you of the things that is needed to accomplish every month of the year. 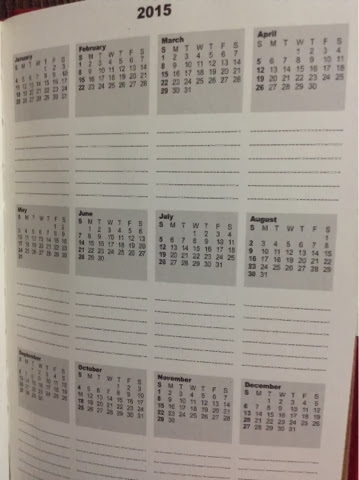 An overview of the month with a one full page monthly calendar. 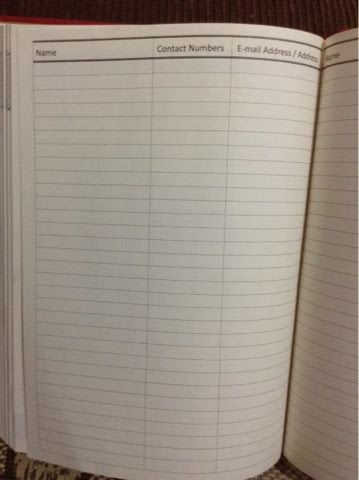 On the last page i found what truly sold this planner for me. 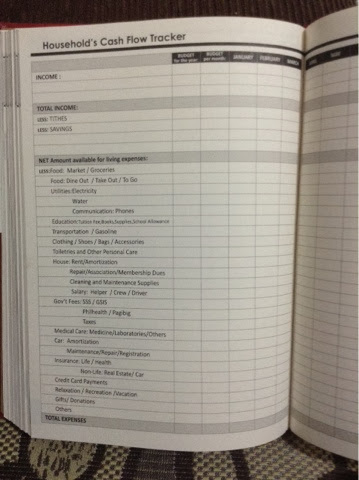 Everyone, this planner has a cash flow tracker at the back wherei you can budget you money monthly!!! There is the expenses breakdown that appeals for Filipinos and made for Filipinos because the categories on the expenses are reliable. I also love that there is a highlighted tithes and savings right after the income which made is awesome because as alsways these categories should be much importance first before anything else. Also on the back is a contact list where you can write down names, contact numbers as well as email address of the people you meet or you have come to know. 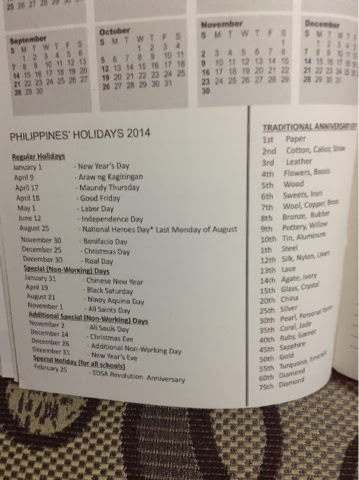 Available also in this planner is the Philippine Holidays for 2014 as well as the different traditional anniversary gifts. I am really loving this planner of mine and i do feel i made the right choice of choocing this over the others. The price is amazing and budget-friendly. 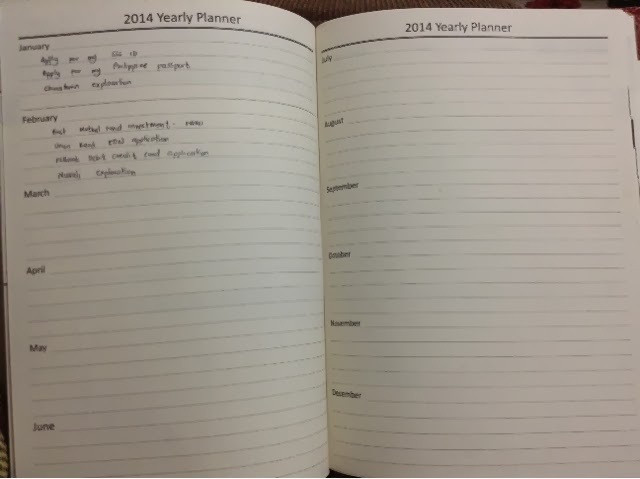 Its simple and direct planner. 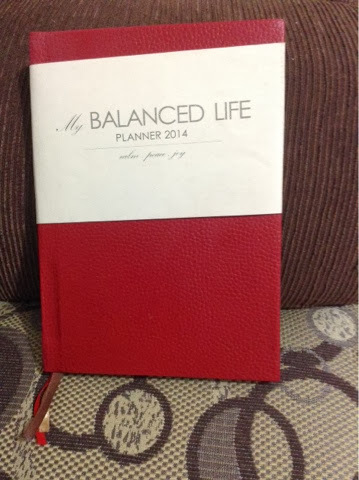 Hope that this will truly give me the best time management that i know i will be needing for 2014. I am so much pumped up and i am seizing the coming year in every field of my life.